Dallas Limo and Black car service has gained great recognition and popularity as the most renowned car rental service provider in Texas and surrounding areas. Not only our company is known for the amazing fleet of vehicles, but also for top-notch service and amazing rates. Our affordable rate list and efficient service style is what makes us completely distinguished from any other local car service provider in Texas. 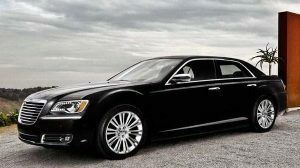 Being known for offering variety of car rental services, Dallas Limo and Black car service has now came up with something more to offer extra comfort and luxury to its customers. To let our customers enjoy the best out of their transportation experience, we have added Sprinter Passenger van in our fleet. Whether you have a special occasion or want transportation service for any corporate purpose, our Sprinter Passenger van service is just perfect to fulfill your needs. We always make sure to offer best services to our customers that fit in their budget. Our Sprinter Passenger Van is an ideal choice for our executive clients who prefer superior comfort while traveling. This executive van can easily accommodate groups of 13 or less and are equipped with many modern amenities. You can enjoy your transportation while sitting in plush, reclining leather seating along with deeply-tinted windows that offer privacy. This luxury van has an amazing storage capacity to accommodate your travel luggage. The interior is beautifully designed with luxurious touch along with front mounted LCD TV with DVD player. The vans are equipped with advanced air conditioning, Wi-fi access and surround stereo system. In short, it can offer you everything that you can expect from a comfortable transportation. Sprinter Passenger Vans are a great addition to our fleet that can accommodate 12 to 15 passengers at a time. We always pay close attention towards the needs of our customers and have always hard to deliver the best to meet their expectations. With our Sprinter passenger vans large groups of people can easily travel in comfort and style in the most luxurious way. Moreover, these vans are perfect for all kinds of occasions and we offer them to our customers with the lowest possible prices. Why choose Sprinter Passenger Vans? 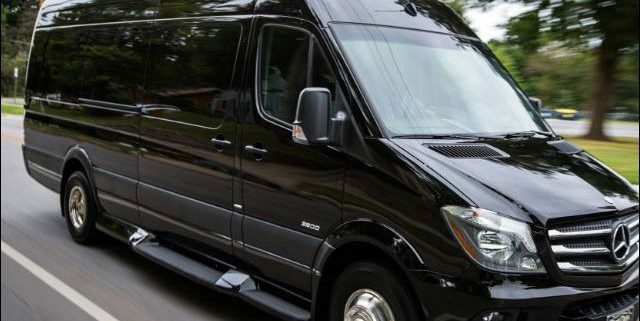 Renting a Sprinter Passenger Van from Dallas Limo and Black car service will be a great decision, if you want to travel in the most comfortable way. Even if you owned your car, it is not practically possible to travel around with a big family. Especially, if you are looking forward for a stress-free transportation option for a special occasion such as wedding or Christmas, Sprinter Passenger Van rent service is an ideal pick for you.